Brown sleeveless overcoat with embroidery !! 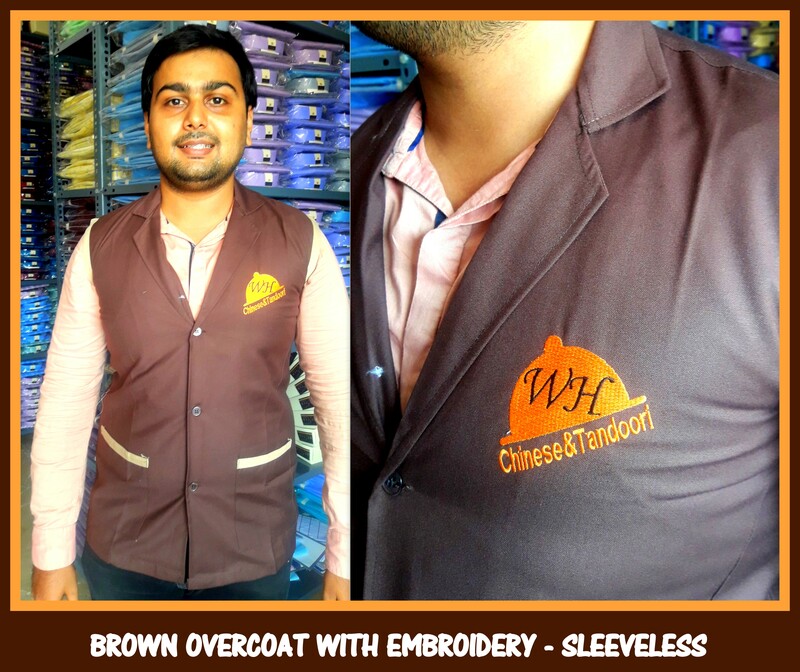 Here is a sleeveless brown overcoat with embroidery done for a restaurants housekeeping staffs. The sleeveless overcoat made is of terry cotton material with piping done in contrast cloth. 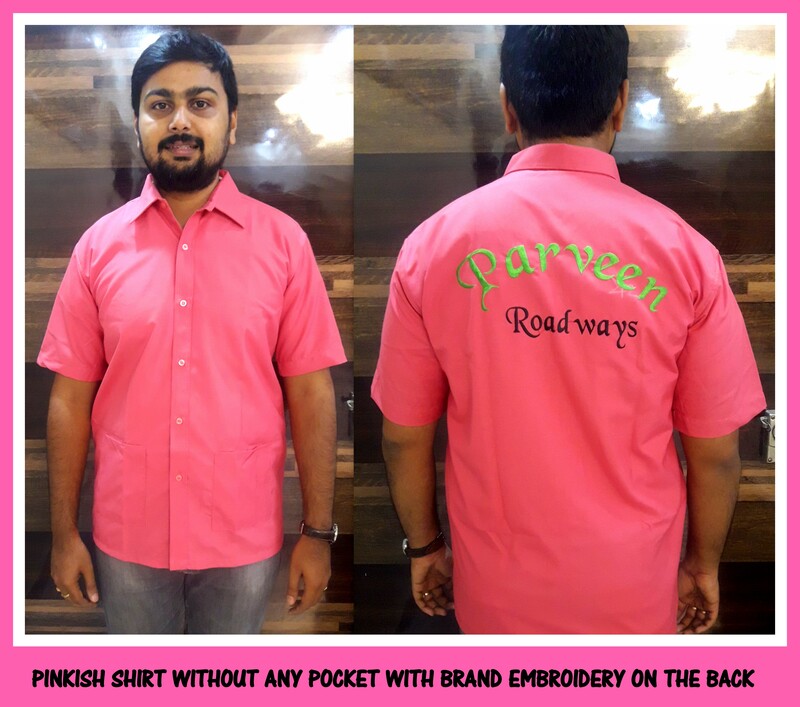 The material used is suitable for any kind of weather due to the blend of cotton in the fabric. 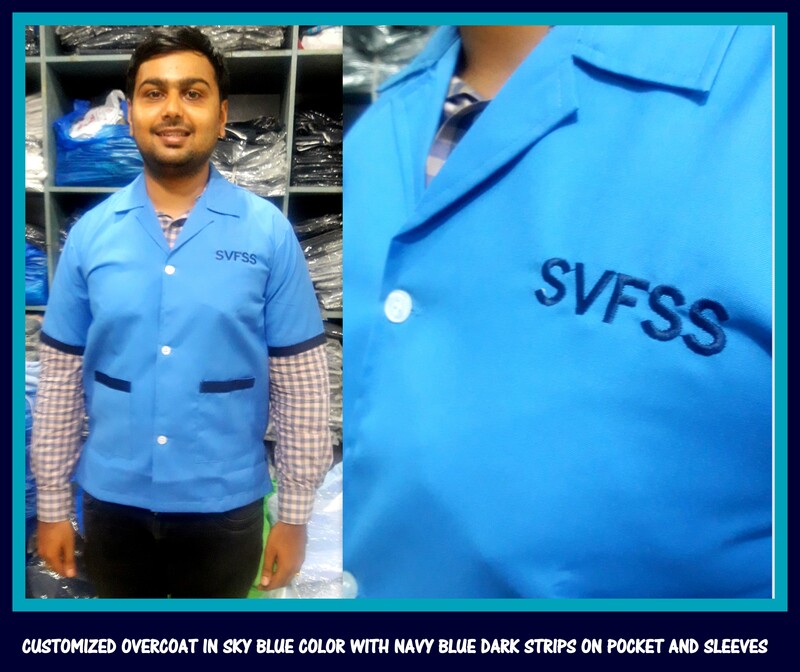 The sizes available are S,M,L and XL and we also have other colors available readily with us in sleeveless uniform coat category. Have requirement of uniforms ? 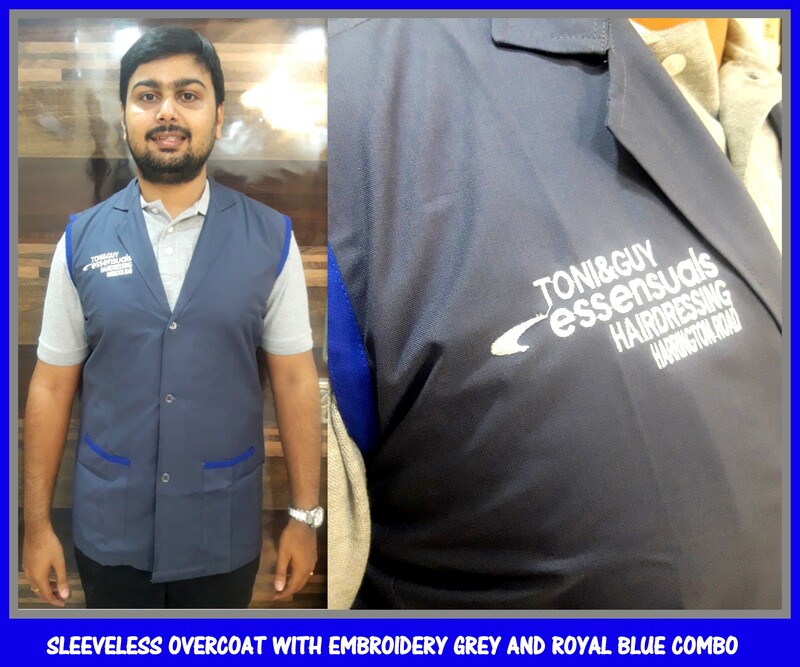 Expect appreciations by wearing uniforms from RSM Uniforms – The ethics of excellence. 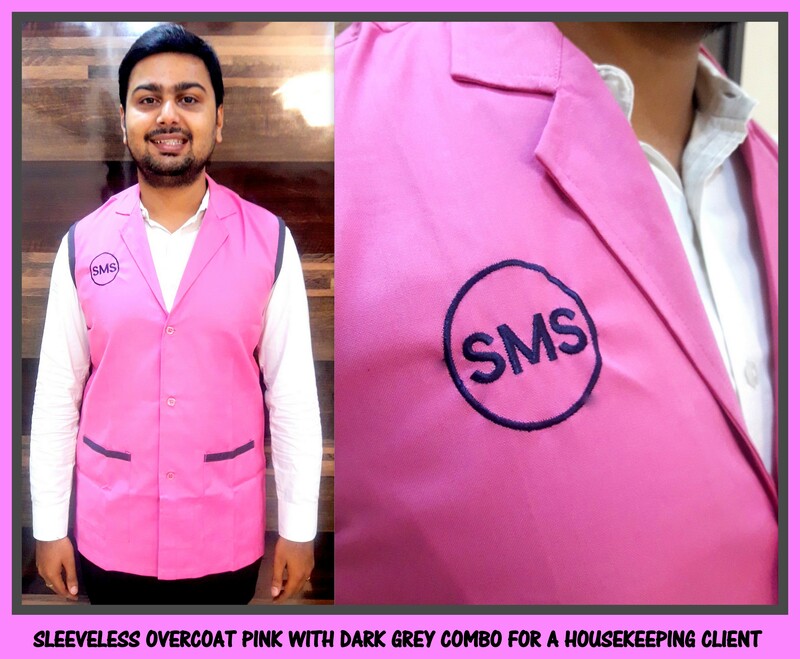 Customized overcoat based on your need is been well attended by us at RSM Uniforms. 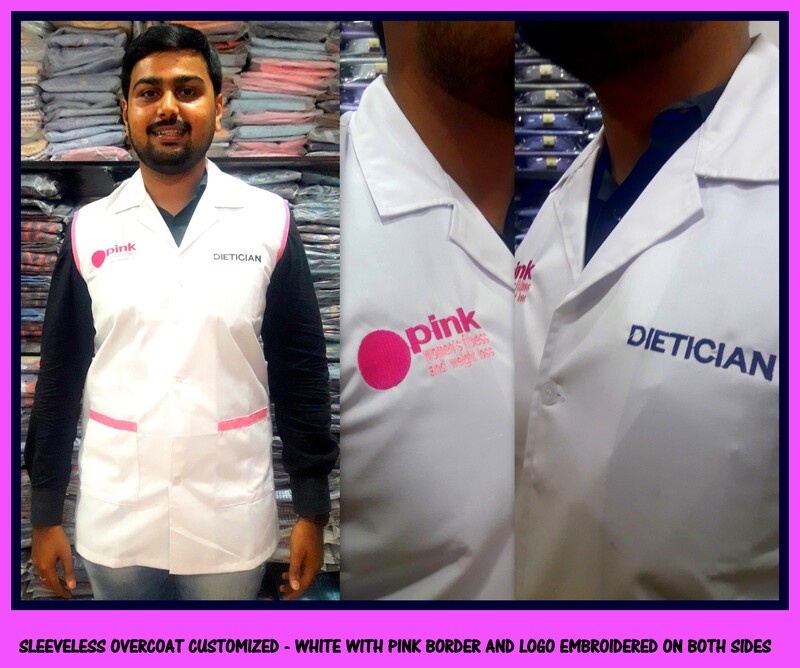 We have readymade sleeveless coats available with us in three sizes 38, 40 and 42 and this one is made for a customer who wanted the fabric to be milky white and the border to be pink color. Any other color combo with any kind of embroidery is possible with us at RSM Uniforms. 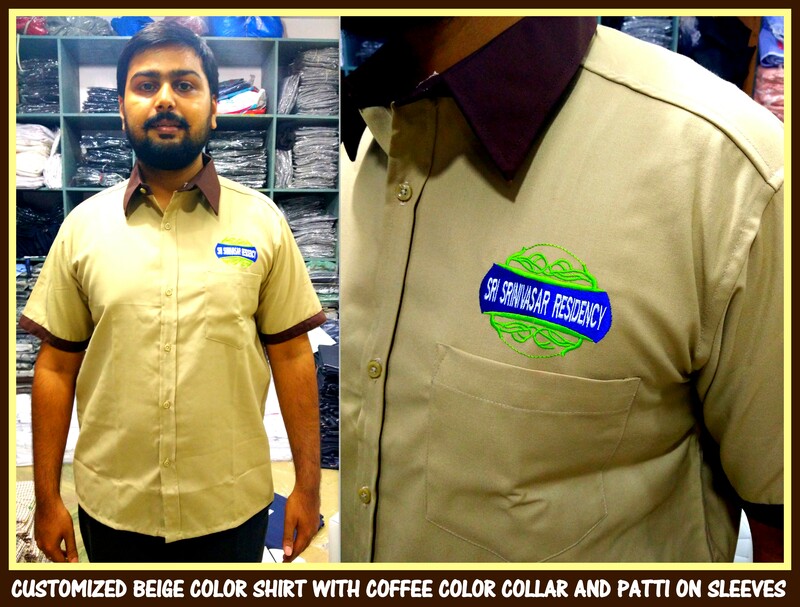 Whatsapp us your brand logo and the content to be embroidered at 9176634635. We would be glad to help you.